In an unexpected twist, I will be guiding a trip across Canada for the next few weeks. 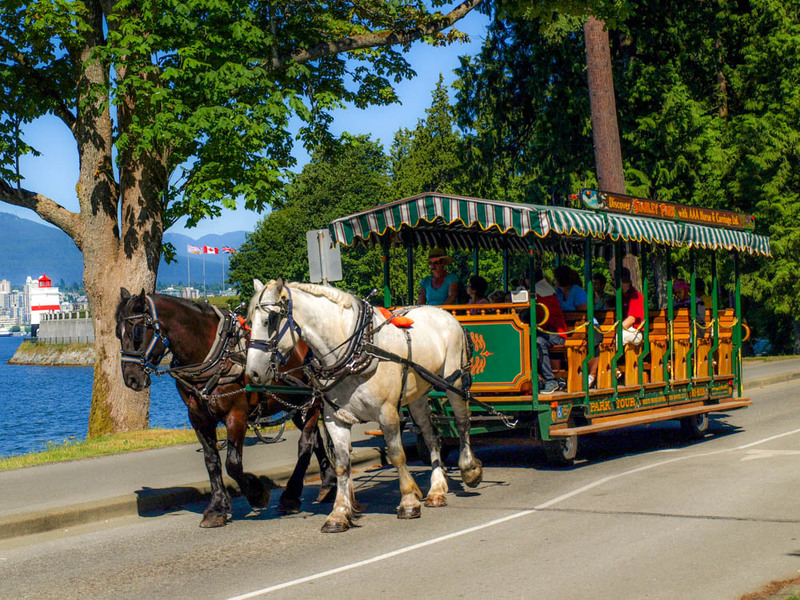 This is a beautiful horse drawn carriage making its way through lovely Stanley Park in Vancouver, British Columbia. The Canadian flag is the dead giveaway! Posted in UncategorizedTagged BC, British Columbia, Canada, carriage, horse, Stanley Park, tour, VancouverBookmark the permalink. Beautiful pair of horses and carriage.I skipped the carriage and hired a bicycle when visiting Stanley park last year.The bicycle ride on the tracks was fantastic experience.Stanley park is beautifully created for both young and old with easy access from city centre.Vancouver is great city as well.